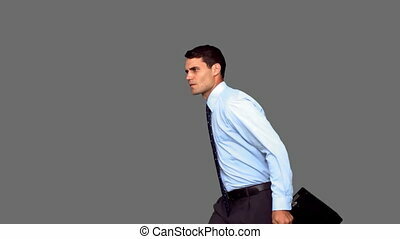 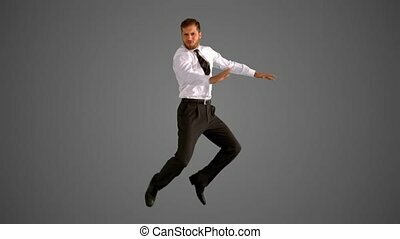 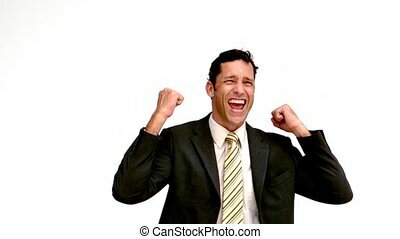 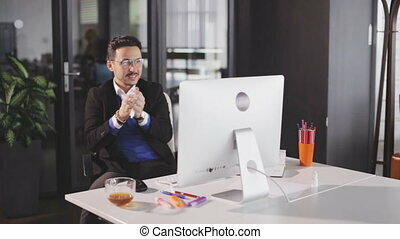 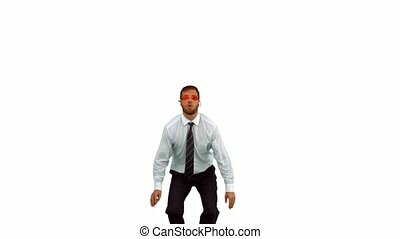 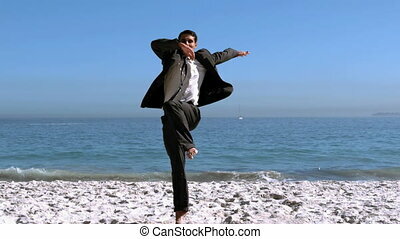 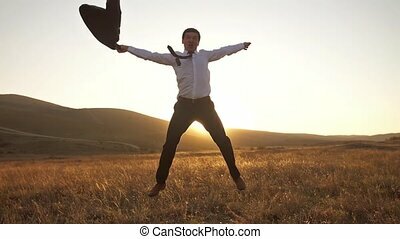 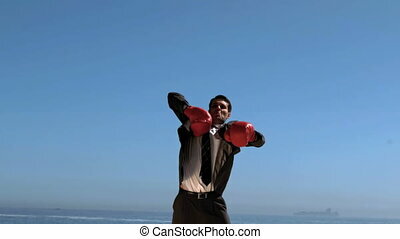 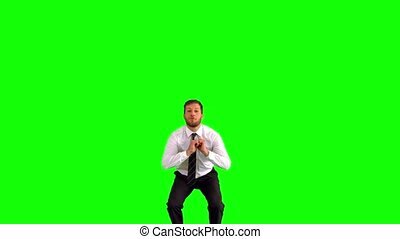 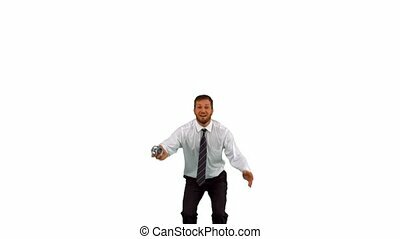 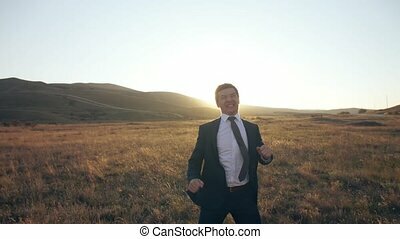 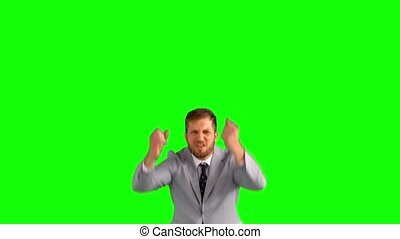 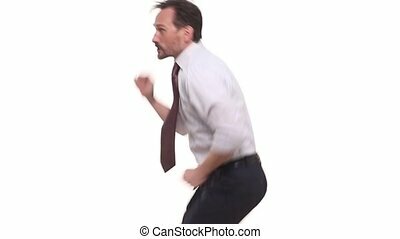 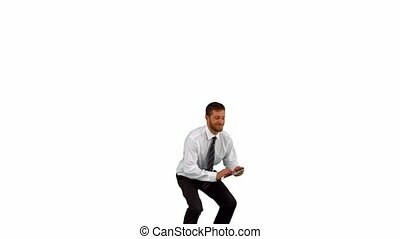 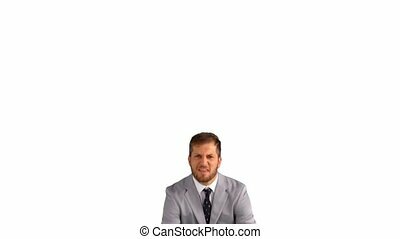 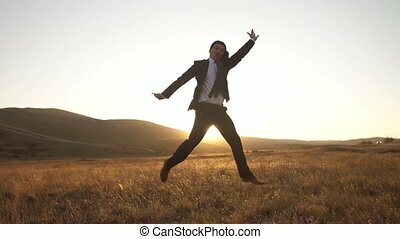 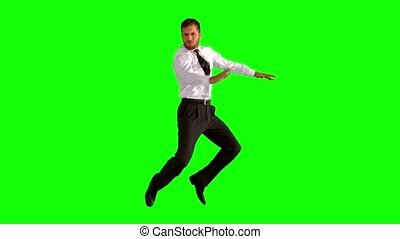 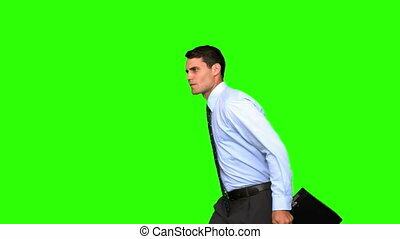 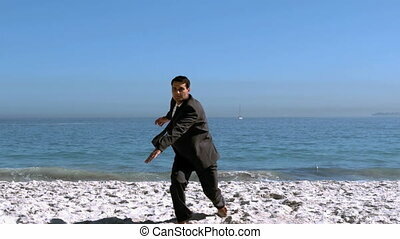 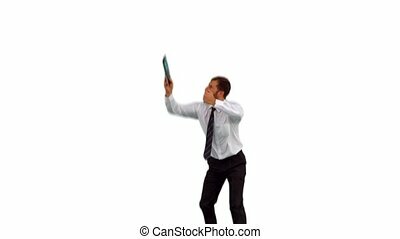 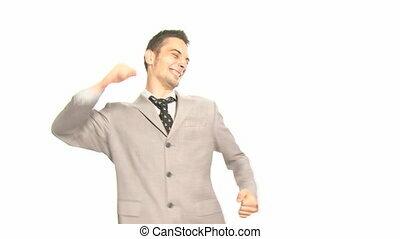 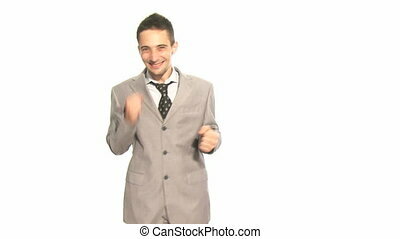 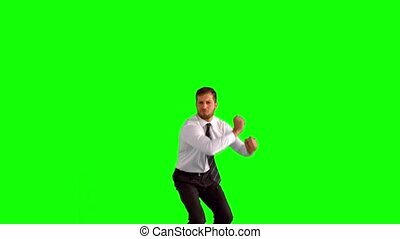 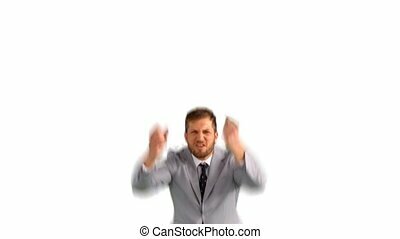 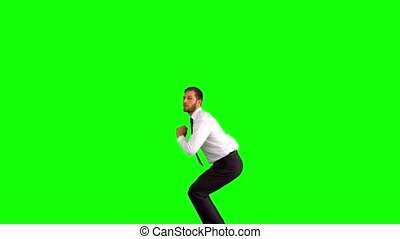 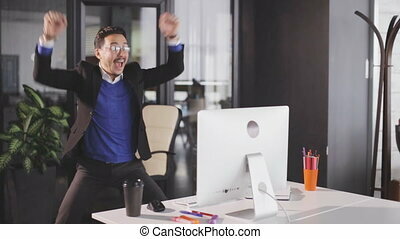 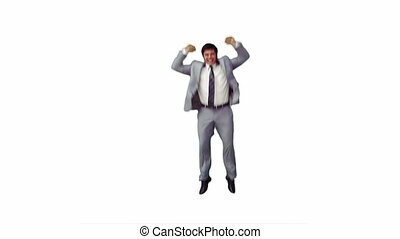 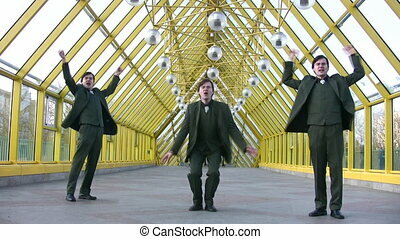 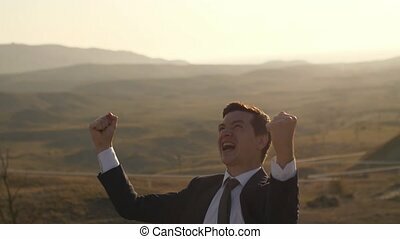 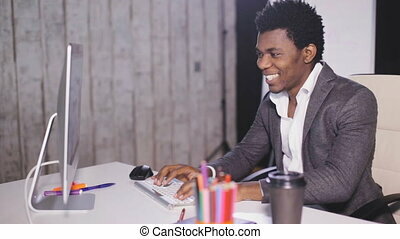 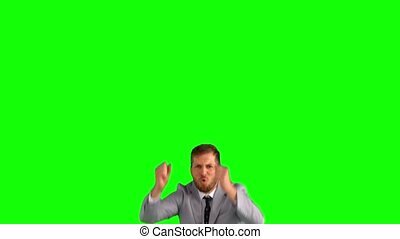 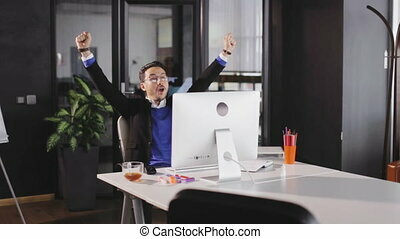 Excited businessman jumping on white background in slow motion. 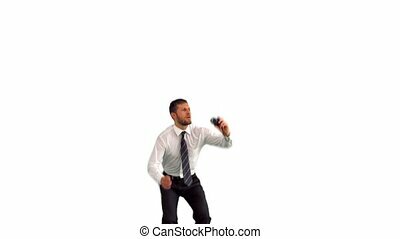 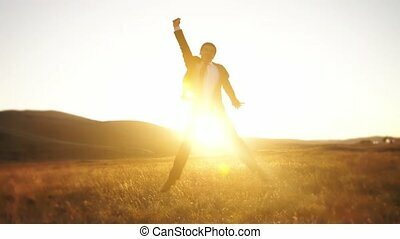 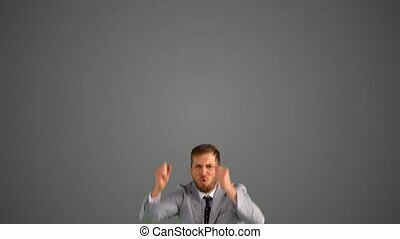 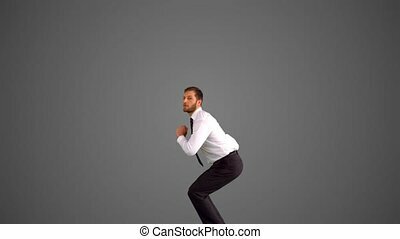 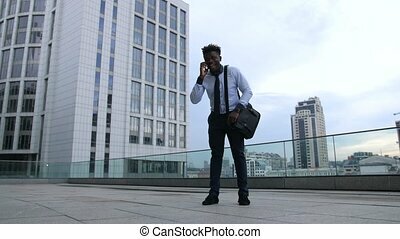 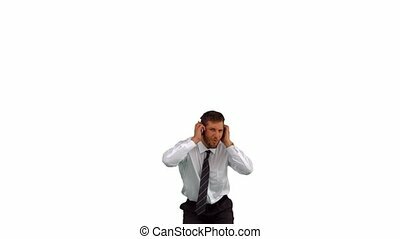 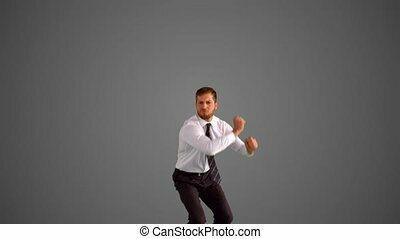 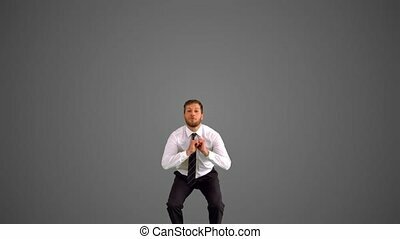 Handsome executive businessman dancing over white background in studio expressing success of his enterprise, company or firm. 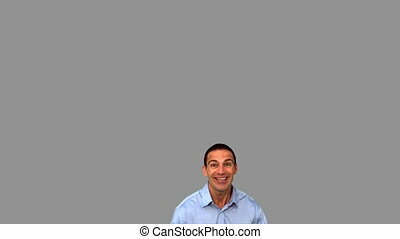 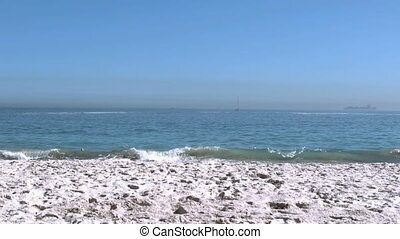 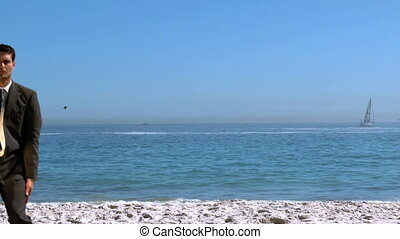 Satisfied or excited man of middle age happy smiling.